We provide an extensive range of Electrical Components for offices, which is manufactured using quality material. These items are being appreciated for their quality attributes like long working life, simple configurations and easy installation. We also hold expertise in providing these items in customized forms according to the client's requirements. Rating 15 A , 30 A etc. 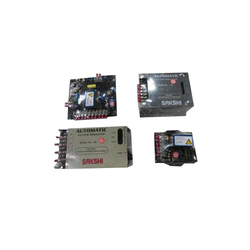 Power Contactor is an electrically controlled switch which is used to switch a power circuit. Our range of Contactors is used to provide central control of heavy lightening installations like retail and office building. 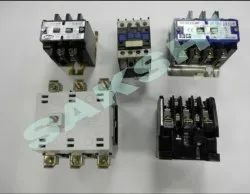 Procured from reputed vendor-base, these contactors ensure resistance against shocks and vibrations. We bring forth superior quality Copper & Aluminium Lugs that is highly appreciated by clients. The Copper Lugs range is corrosion resistance and offer long lasting performance. The range of Copper Lugs is offered with excellent surface finish. 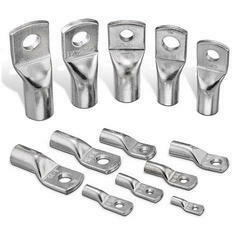 We offer the Copper Lugs range at affordable rates. All type of Copper & Aluminium Lugs (Tube Type, Ring Type, Fork Type)are available. Our clients can avail from us a wide range of Automatic Voltage RegulatorUnit that is extensively demanded for various industry applications. The offered product is procured from reliable sources of the market and is offered at market leading prices. Moreover, the product is strictly tested by our quality experts in compliance with international quality standards. Looking for Electrical Components ?